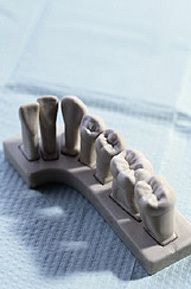 Are dental amalgams safe? Is it possible to have an allergic reaction to amalgam? Is it true that dental amalgams have been banned in other countries? Is there a white filling material that matches tooth color? If my tooth doesn't hurt and my filling is still in place, why would the filling need to be replaced? Read this interesting and informative discussion from the American Dental Association. Alternatives to white fillings, such as cast gold restorations, porcelain, and composite resins are more expensive. Gold and porcelain restorations take longer to make and can require two appointments. Composite resins, or white fillings, are esthetically appealing, but require a longer time to place. For more information on White Fillings serving the Kapolei, Ewa Beach, Makakilo, HI areas call Dental Perfections at (808) 674-8895!